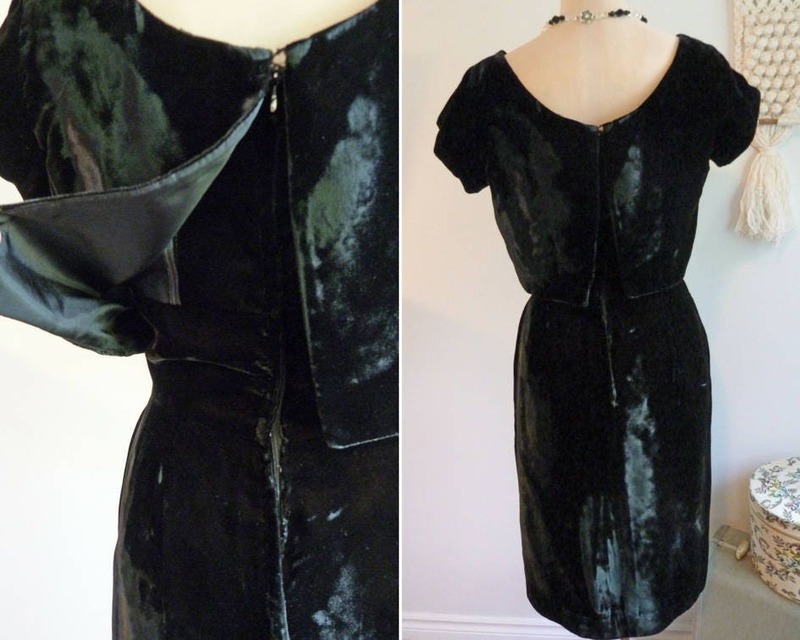 Short sleeves smooth and confortable black velvet dress. 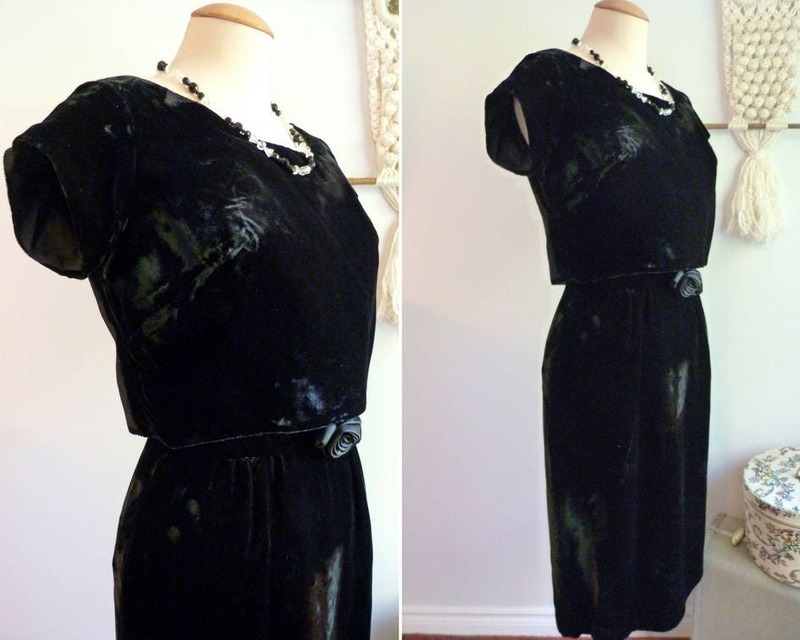 Knee-long, boat neck, close-fitting waist and hips. The upper part is divided in two: a close-fitting synthetic lining part along the chests, and a kind of velvet tee-shirt above, open at the back along the zipper. 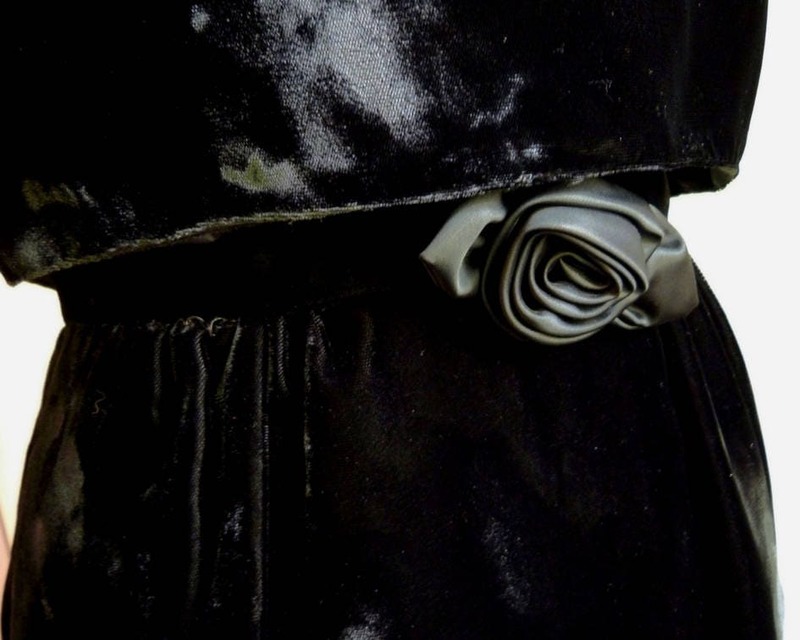 Decorative satin bow at the waist in front. Simple and for all kinds of occasions: restaurant, night out, etc. Perfect for Christmas and holiday season parties! TOTAL LENGTH (FROM SHOULDERS DOWN TO THE BOTTOM): approx. 39 in. WAIST : Approx. 27 in. BUST : Approx. 37 in.